Time for a New Front Door? – New Jersey Siding & Windows, Inc.
You may not think of your front door often until it stops performing in the way you expect. However, if you’re noticing an out-of-date appearance, unpleasant drafts or sticky locks, chances are the thought of a new door has crossed your mind more than once. 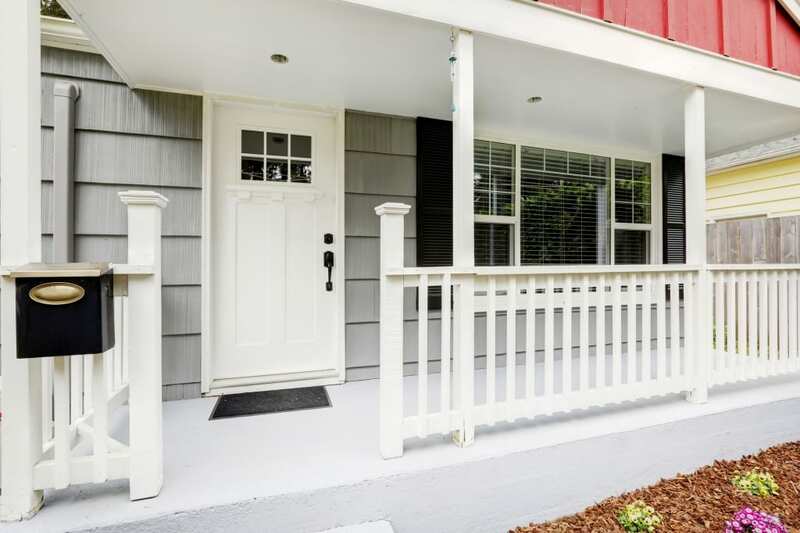 If you’re considering front door replacement but aren’t sure it’s the right time, New Jersey Windows & Siding, Inc. suggests checking for these five signs to determine whether or not you’re ready for a brand-new front door. 1. Do you like the way the door looks? Maybe the finish has faded over time, or scratches have made your door less attractive. Maybe you loved the bold pop of color five years ago, but now regret following trends. Your front door is a focal point in your home, and if you dislike its appearance, upgrading is an easy way to create a more pleasing look. 2. Does it allow easy access to your home? Wood doors may expand and contract with the season, but if you notice it’s difficult to smoothly open and close your front door regardless of the time of year, replacement is probably needed. Swelling can also suggest water damage to wood doors, another good reason for replacement. 3. Is it secure? If your door’s locking mechanism won’t operate properly or sticks, you may be able to work with a locksmith to repair these issues. However, it’s important to replace a door when these repairs can’t be made, since your front door is a primary point of security for your home. 4. Does your home feel drafty? Your front door contributes to your home’s insulation. If you see daylight under or over the door or feel cool air coming in, you’re likely losing heat and letting cold outdoor air diminish your HVAC system’s efficiency. Replacing a door can stop the drafts and help minimize wasted heating costs. 5. Is it damaged? Damage caused by water, insects, pets and even humans can all affect a door’s integrity. Dents, holes, rust, scratches and scuffs don’t just diminish the good looks of your door, but can also make it less stable and secure over time. If you answered yes to one or more of the questions above, it’s likely time for a front door replacement. New Jersey Siding & Windows, Inc. can help you select the perfect door, install it and even correct any issues with the existing door frame and jamb. Contact us today to learn more about our services and how we can provide a front door you’re sure to love.